Special events will be held on the Douglas Bay Horse Tramway to mark the final day of service on the historical track this October. The horse tram season will end earlier than usual to "allow work to start" on the Douglas promenade refurbishment, the Manx government said. Opened in 1876, it hosts the world's oldest horse-drawn passenger tramway. Jason Moorhouse MHK, member responsible for public transport, said the horse trams "will be back" in 2019. In 2016, the service was transferred to the government after Douglas Borough Council reported an annual loss of more than £260,000. At the time, the council said the tourist attraction was "no longer financially viable" and "a burden on the rate-payer". 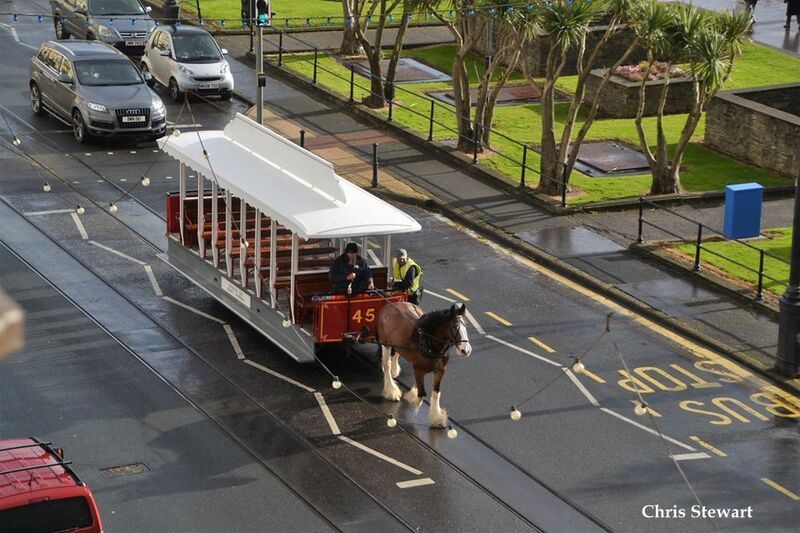 Plans for a new horse tram service in a £20m revamp of Douglas promenade were submitted in January. Events on 21 October will include tours of the stables and the last tram service will leave at 17:30 BST.